On June 20, during the board meeting of RoboCup a delegation of TUSUR University and Tomsk region will present Tomsk’s bid to host the RoboCup World Final 2018. The bid was a collaborative submission of the University and the regional government. Having passed the pre-selection procedure, it will be reviewed by the RoboCup Board before the winner is named. All bids submitted must cover accommodation opportunities for participants, transport infrastructure and venues for the Final. 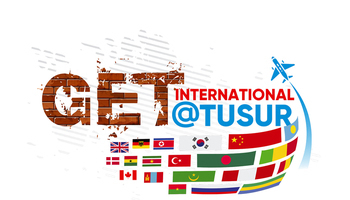 We are hopeful that the joint bid of TUSUR University and Administration of Tomsk region to host the RoboCup World Final 2018 in Tomsk will spark interest and be accepted by the RoboCup board. We face serious competition from other countries that can boast impressive experience at RoboCup events. 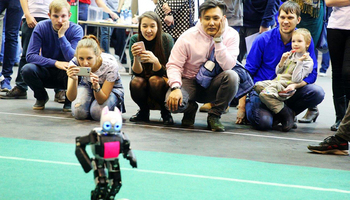 Russia is a newcomer to the international RoboCup community, having just recently joined the movement. 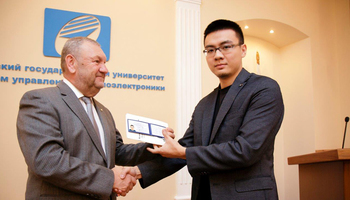 Our teams, organizational level of our events and the infrastructure available received praise from one of the Board members of the RoboCup Federation. We have incorporated our own experience into our bid that we are going to present at the special meeting of the RoboCup board. 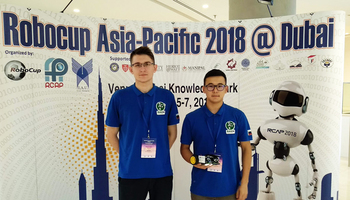 The concept of RoboCup is very relatable for our University, as we always make sure to promote innovative approach in education, to support ideas of young scientists, to support breakthrough projects and engage young people in engineering creativity. Hosting the RoboCup World Final 2018 in Tomsk will help us promote the robotics movement among young people, leverage our own good practices and transform our experience with individual team performances into a system of team training and event-management in robotics and artificial intelligence. In May 2016, Tomsk hosted Russia’s first RoboCup competition – the first RoboCup Russia Open 2016 in the Junior league, initiated by TUSUR University and supported by the Administration of Tomsk region and the Russian National RoboCup Committee. A total of 90 teams participated in the first RoboCup Russia Open, traveling to Tomsk from all over Russia. The event has attracted about five thousand visitors. The first Russian RoboCup allowed the organizers to work through a number of matters that would need to be addressed in organization of a high-profile event like the RoboCup World Final. RoboCup Russia Open 2016 was held within the framework of the U-NOVUS forum and received praise from a Board member of the international RoboCup Federation, Professor Antonio Fernando Ribeiro (University of Minho, Portugal), who supervises national qualification rounds of the championship. RoboCup is an international robotics competition founded in 1993. Its objective is to create autonomous robots to drive AI research. RoboCup is an abbreviation of Robot Soccer World Cup.